Here are seven saving tips to help you save for that trip! Calculate your essential outgoings for each month and decide on a sensible amount to set aside for your travel savings account. Many of us don’t have a whole lot of money left over at the end of the month, so you may need to make some sacrifices. Think about it: We all love to treat ourselves to shiny new things. But the shiny new thing you are saving for is this trip. Keep that in mind when you skip your morning Starbucks and put back those nice shoes in the shelf. Nowadays, everybody and their mother has a smartphone, so why not put yours to good use and install some money saving apps to help pay for your trip? Personally, I love the idea of Tip Yourself, an app that’s all about personal rewards. Similarly, the Qapital app is designed to help you save for specific goals. Sounds like a win to me! Do you really need that Netflix and HBO Nordic subscription? OK, maybe cancelling your Netflix subscription is going a bit too far, but it is worth considering. Personally, I subscribe to Netflix, HBO Nordic and Spotify and several magazines that I don’t even have time to read. Are all these subscriptions really necessary? Definitely not. Cancel at least one of your subscriptions and you’ll be saving money on the regular. The motto is: If you don’t use it, lose it. Got a spare room? Rent it out and split your living expenses right down the middle. Or become an Airbnb host and keep that travel fund topped up even while you are away. I’m not saying you should sell everything you own in order to fund your trip, but it’s definitely a good idea to have a clear out and see if you have anything worth selling. After all, one man’s trash is another man’s treasure as Macklemore sings, or something like that. Want to sell off your unwanted clothes? You could try eBay or any other website for this purpose. There are tons of websites and apps that can help you get rid of the clothes you don’t wear anyway and get some money for that. You will save so much money if you ditch the takeaways and eat some home-cooked meals. Eating outside and living on takeaways is such a money drain and big savings can be made. Similarly, bring a packed lunch to work and you’ll easily save extra 50 EUR a week. It all adds up, trust me! A side hustle is a second job you can use to boost your income or, in this case, save for your travel adventure! 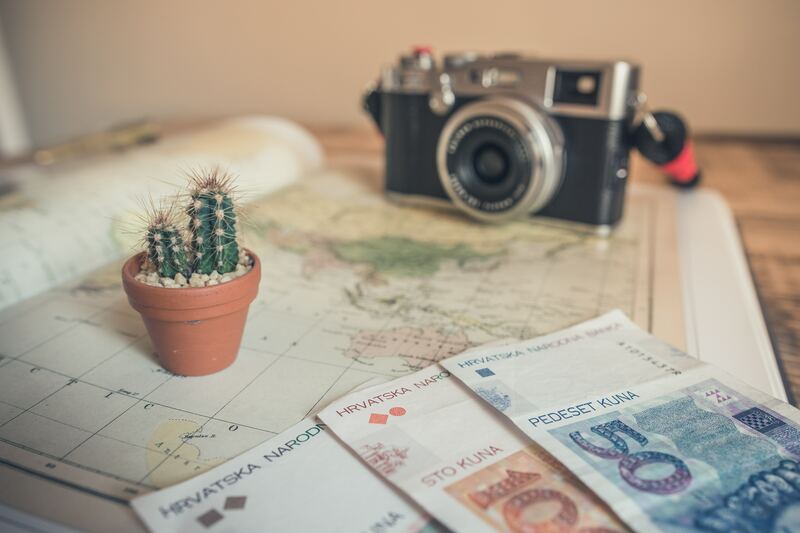 🙂 Everything from freelance writing to selling jewellery can earn you some extra euros for your travel savings account. Maybe you have a talent of making jewellery or creating awesome web page designs? Try it out and maybe you can use your talent to earn some more money.